This tutorial will show you how to connect to Microsoft Graph data using Azure AD authentication. 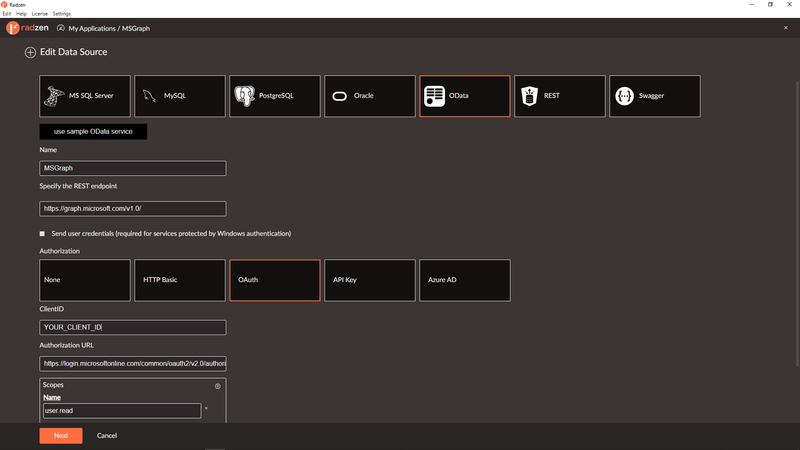 Create new application at https://apps.dev.microsoft.com, add Web platform with Allow Implicit Flow enabled, set Redirect URLs to http://localhost:8000/ and add user.read permission. Create a new Radzen application by following the first step from the quickstart guide. In this step we create a data source that connects to a Microsoft Graph data. Open the application that you created in the previous step for editing. 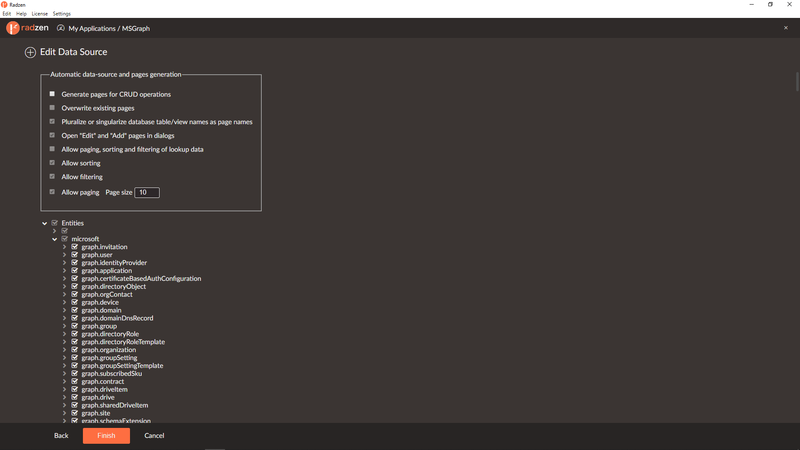 Click data to go to the My DataSources screen. Click new to add a new data source. 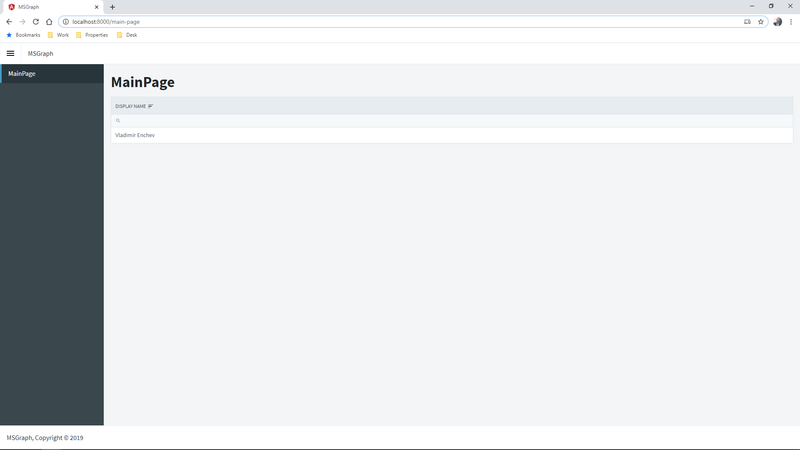 Select OData as data source type. Pick a Name for your data source. Pick a Azure AD authorization. 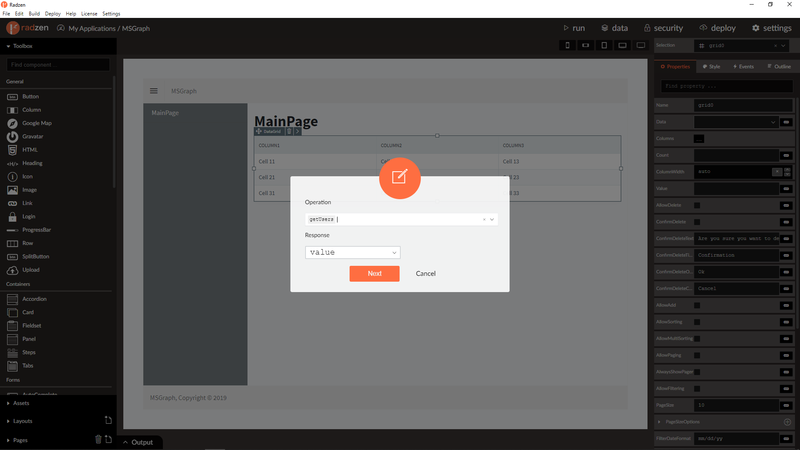 Radzen will connect to the Microsoft Graph data and infer all entities. By default all entities are checked and you can choose/uncheck entities and/or entity properties needed for your application. 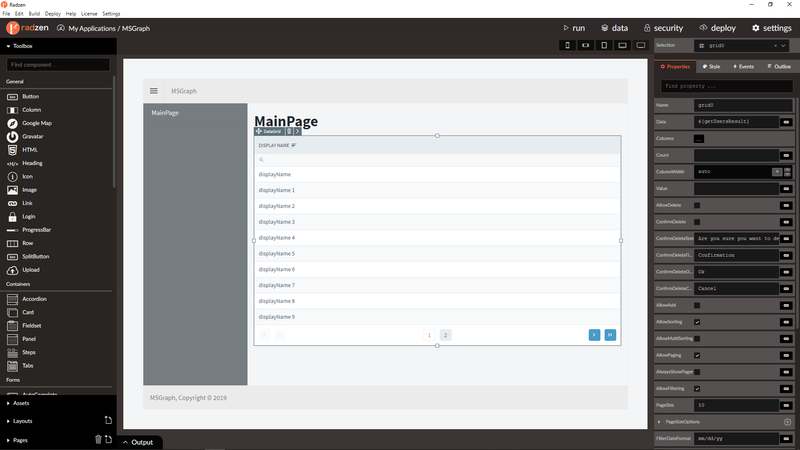 Create new page, drop DataGrid component and bind it to Microsoft Graph users entity. Add new column to the DataGrid component and select displayName property. 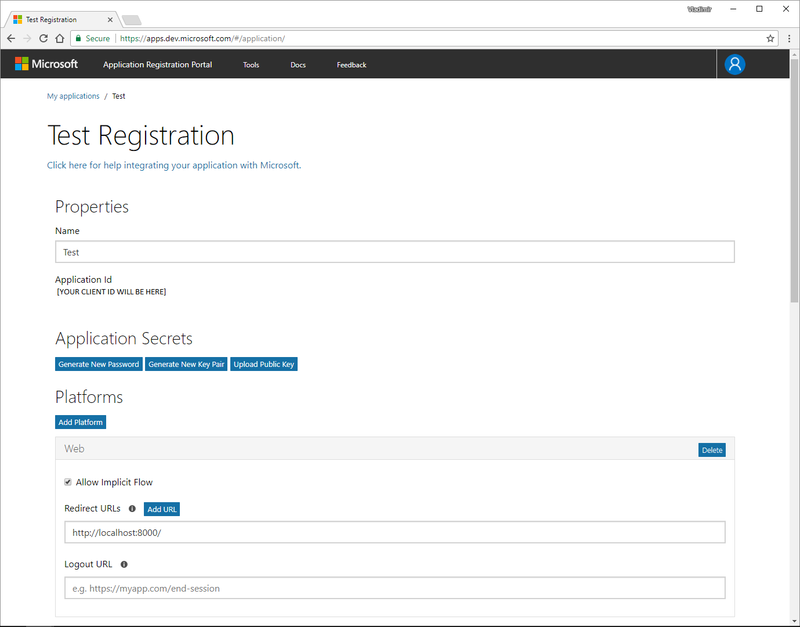 Run the application, login with your Microsoft account and browse the users.